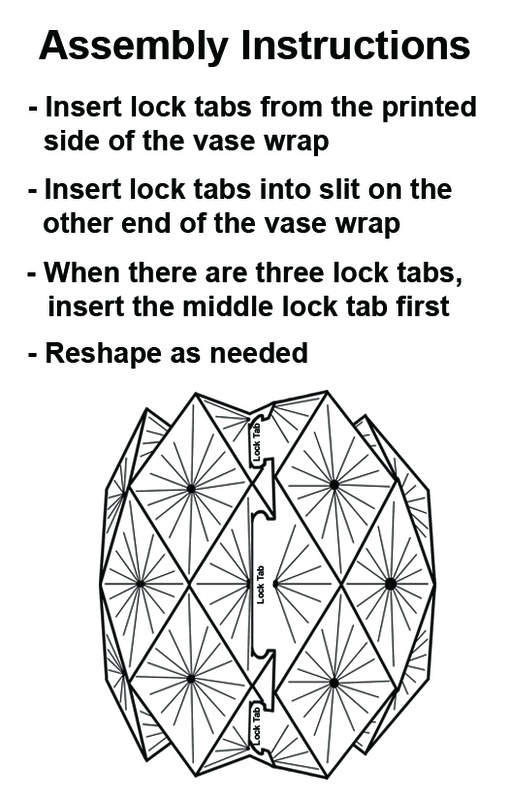 Use a paper vase wrap to instantly transform a stemless wine glass, mason jar, or even a can into a pretty flower holder. 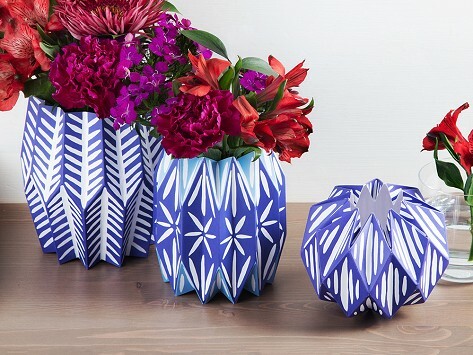 A set comes with three wraps in different shapes that all can fit onto any basic vessel with a 4” diameter and disguise it with cheerful prints and color. Made with recyclable paper in the USA. Made in the USA: Washington, D.C.
Lucy worked in IT, but creativity was calling so she went back to school to study textile design. She turned to the N Street Village in Washington, D.C., to help make the wraps. This non-profit provides women in need with employment opportunities. The team there hand-fold the wraps which are printed in Maryland with Lucy’s original designs. The result is a fuss-free and cheerful way to brighten up your space.